Andre Nel, South Africa cricket's original scary eyes, is back. Not to inflict another bruise on a hero, like he did when he felled Allan Donald with a fierce bouncer in a first-class match, or to stick his tongue out at the opposition and induce impromptu bat-swinging breakdance like he did against Sreesanth, but to teach others how to. Nel, who has been coaching at a school and a university academy, will coach provincial side Easterns at the Africa Cup T20 tournament, a coming-of-age position for the now-placid paceman. "I feel like life has come full circle for me because this is where I started and now I just want to help Easterns get back to the where they were," he told ESPNcricinfo. Nel was part of the Easterns provincial side that won the premier first-class competition in the 2002-03 season, before South African domestic cricket was franchised. Since the franchise system formed, Easterns have been one of the feeder teams to the Titans. But as a semi-professional side, Easterns have underwhelmed in the three-day and List A competitions, with no titles to their name. Nel wants to begin changing that in his first assignment, a T20 competition, played between South Africa's provincial teams as well as invited outfits from Zimbabwe, Kenya and Namibia, which starts this weekend. Easterns are grouped with their franchise partners, Northerns, Western Province and Zimbabwe. Only the top team in each pool advances to the knockouts, so Nel knows he has a difficult task ahead. "We're in a tough pool and everybody expects us not to win so it's definitely going to be a challenge," Nel said. "But if everything in life was easy, everyone would be doing it." But Easterns have two major advantages. The weekend's fixtures, which incorporate all six matches in the group, will be played at their home ground, Willowmoore Park and they have a rejuvenated international in their squad. Quinton de Kock will turn out for Easterns in a bid to continue with his new-found form and play himself back into the national team after he was dropped during the Bangladesh series. Nel hopes to nudge de Kock in the right direction by putting no pressure on him and providing advice as someone who also had to work his way back into the senior side. "He has been through a tough time. I know what it is like to be dropped and then have find your way back and the most important thing is to be humble. When you get in quite young, there is extra pressure on you to stay in the side and you have to take that out of the equation. "I just want to give him the freedom to go out and express himself. Sometimes maybe he gets too nervous. 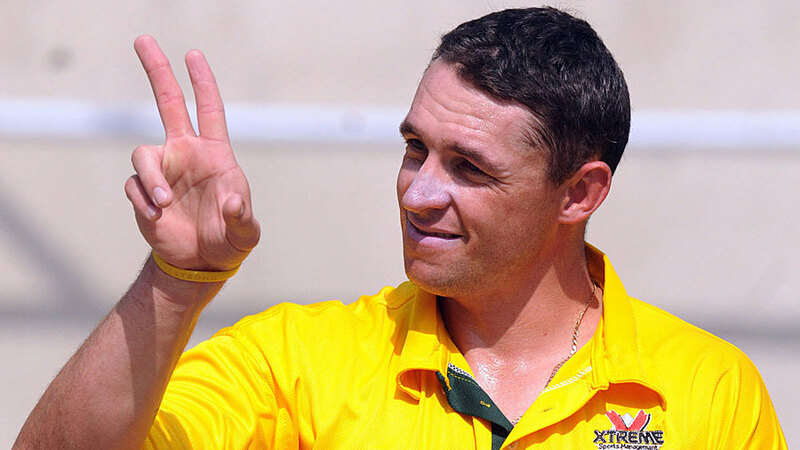 He must just go out and be Quinton de Kock and not try to be someone else." Although Nel was no batsman, his only other advice for de Kock is "work on his on-side game." The technical tidbits will be saved for the bowlers and Nel has a number to work with, including Junior Dala, who featured regularly for the Titans last season. Dala is quick with an unusual slingy action and Nel is looking forward to moulding him for future success. "I worked with Junior at the University of Johannesburg academy so I know him pretty well. He has just come back from Sri Lanka with the South African Emerging side so he is definitely on the radar and he should be. He is looking strong and fit and he offers something different."